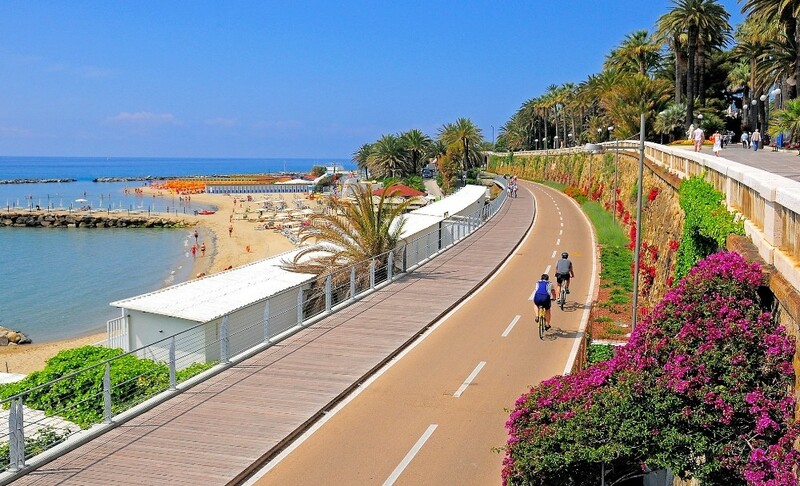 Alassio’s passaggieta of cyclists, roller-bladers, hikers and joggers happens on the long promenade that overlooks the bronze-grey beach of the Italian Riviera. The charm of the old town center is hidden behind tall peachy buildings that stand sentry over its medieval charms. But Alassio has other attractions as well that make it surprisingly irresistible. Perched high an a hill above the old town center, like icing on a cake, is a magnificent villa that draws the attention of admirers from below. Villa della Pergola sits regally above Alassio – check out those domes! As “one of the wonders of the Italian Riviera,” according to William Scott, the Villa della Pergola is inspiring and outstanding in natural beauty and elegance. Alfred Hitchcock shot scenes for his first movie, “The Pleasure Garden,” in the exotic grounds that surround the Villa. The two-acre garden with its Wisteria-covered pergolas, little fountains, climbing roses and quiet leafy areas provide the perfect backdrop for a movie. Designed with a unique architectural style encompassing large balconies, luxurious verandas and a sweeping white-marble staircase, the Villa is a show-stopper. Dazzling orthodox Russian-type domes rise from the roof. A fountain near the central staircase and opulent marble floors add to the liberal taste of its origins from the 1870’s British winter holiday-goers. 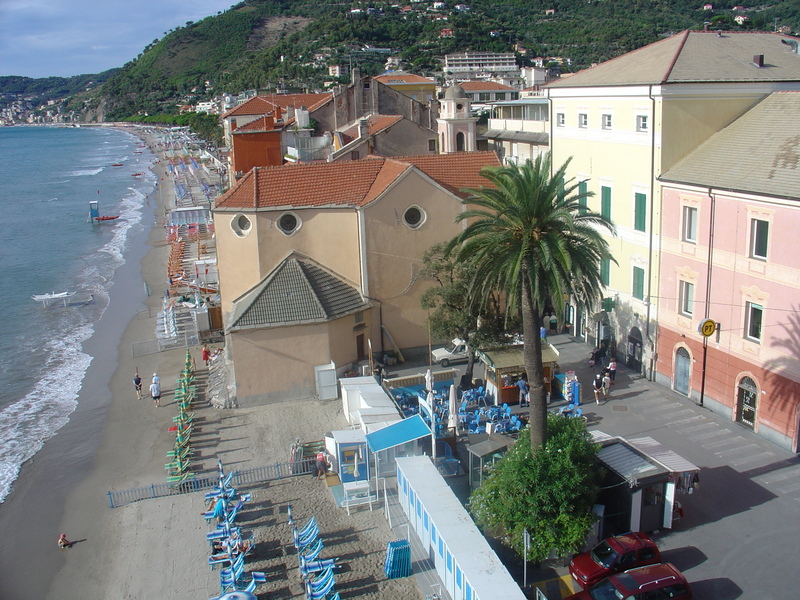 Alassio was the playground for sun-starved Brits before the action passed on to the French Riviera. Cycling is big on the Riviera. Alassio lies on the “Ring of the Bay” cycling route that brings the sparkling blue Mediterranean up close. A long stretch of the route is on the promenade that skirts the waterfront. You then have a choice of circling up the hills above Alassio and beyond, (which is mountain bike domain), making a complete loop back down to the waterfront, or stay on the promenade and enjoy the ambience of the sea. Of course, there are always rewards for ‘going the extra mile,’ such as sweeping views of the Mediterranean. The entire route is 24.9 km with an elevation max of 482.2m. Up for a hike? The famous Via Julia Augusta path along the water will transport you back to the year 12 BC. Built by Emperor Augustus as a link between Rome and southern Gaul, the path stretches from Alassio to Albenga and is just under 8 miles long. Starting in the square of Santa Croce in Alassio, the pathway takes you by an ancient stone arch. Cecil Roberts penned his novel, “The Portal to Paradise,” which is set in Alassio and inspired by this same arch. From there on out, the views of the Mediterranean and the Island of Gallinaria remain with you. Gallinaria is a term the Romans used for wild chickens, and evidently this island was full of them at one time. Albenga greets you with medieval towers and an intriguing historical center. Worthy of a look-about, you then have the option of taking a bus back to Allasio or regrouping for a hiking rondez-vous back. Did Alfred Hitchcock actually bicycle the promenade? Who can say for sure. But for a lover of the exotic and beautiful, it’s very likely. Besides, wasn’t he notorious for making surprise appearances when least expected? 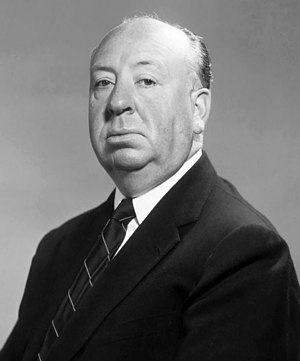 Studio publicity photo of Alfred Hitchcock. 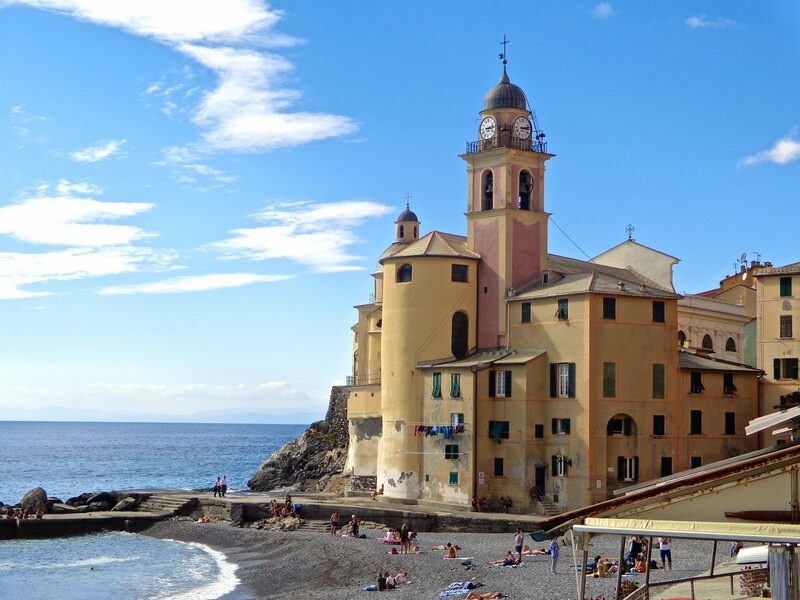 Sounds like a wonderful place…never been to the Italian Riviera (yet)! yesterday (13 August) was his birthday. I guess this post was timely! I didn’t know he had a birthday on the 13th……thank you for your comment!